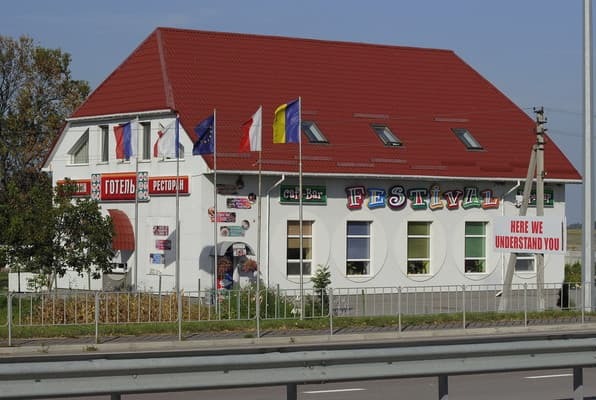 The hotel and restaurant complex "Festival" is located on the outskirts of the village of Branev in the direction of Rovno. 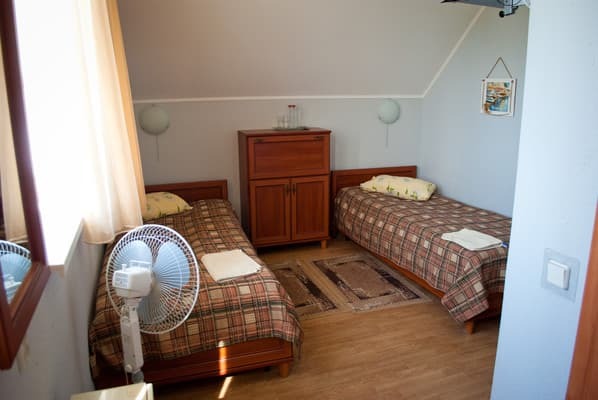 A small hotel with 9 rooms will provide a cozy and comfortable accommodation. 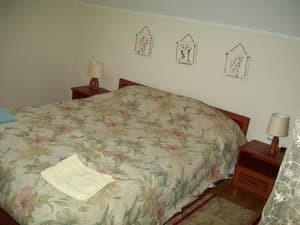 The rooms are equipped with comfortable furniture, television, private bathrooms. 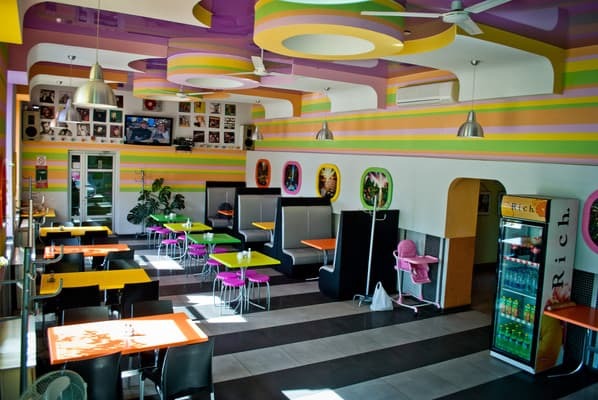 On the territory of the hotel there is a shop, "RING" - summer barbecue restaurant, children's and sports grounds. 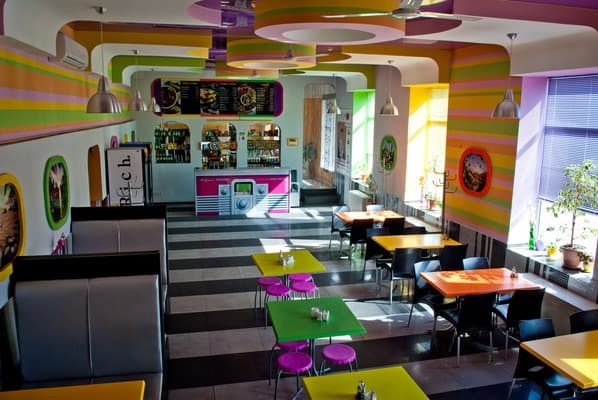 In the restaurant, which is designed for 60 seats, guests will be offered a choice of European, Ukrainian and author's cuisine. Also in the hotel "Festival" there is an opportunity to use the banquet hall for 12 people. The distance to the city of Rovno is 44 km. 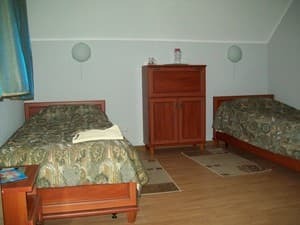 Description of the room: Two-room suite consisting of a bedroom with a double bed and a living room with soft furniture. Extra bed is not provided. Children without extra beds are accommodated free of charge. The hotel is located on the exit of with. 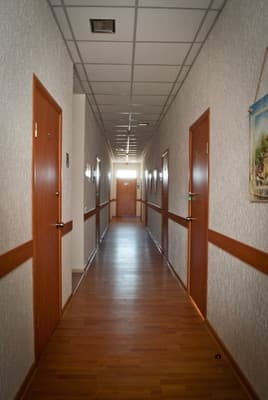 Branev in the direction of Rivne on the highway "Kiev-Chop". On the highway E-40, "Kiev-Chop" 286 km.